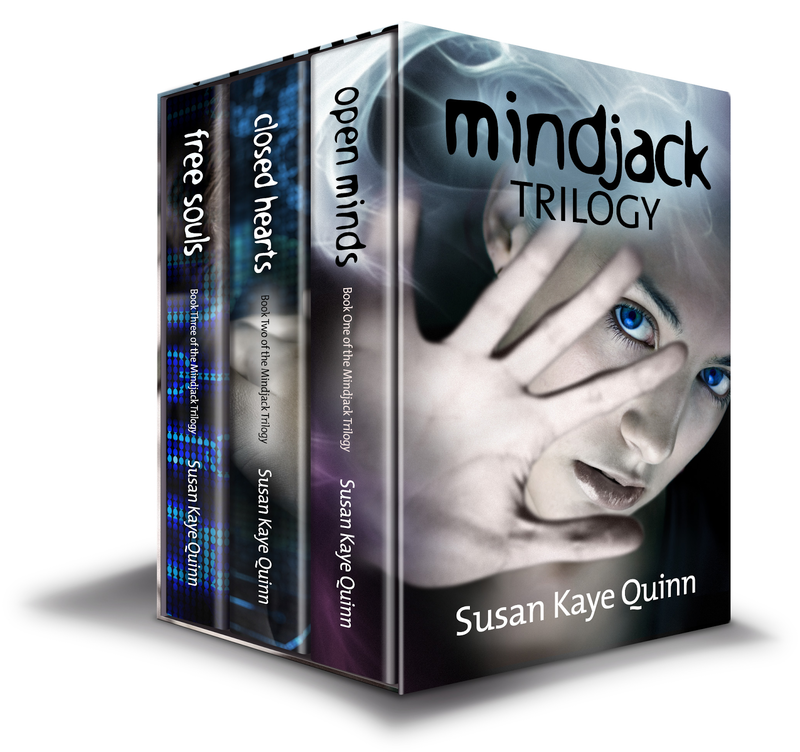 The final novel of the Mindjack Trilogy is here. I am SO EXCITED to have this book out in the world. 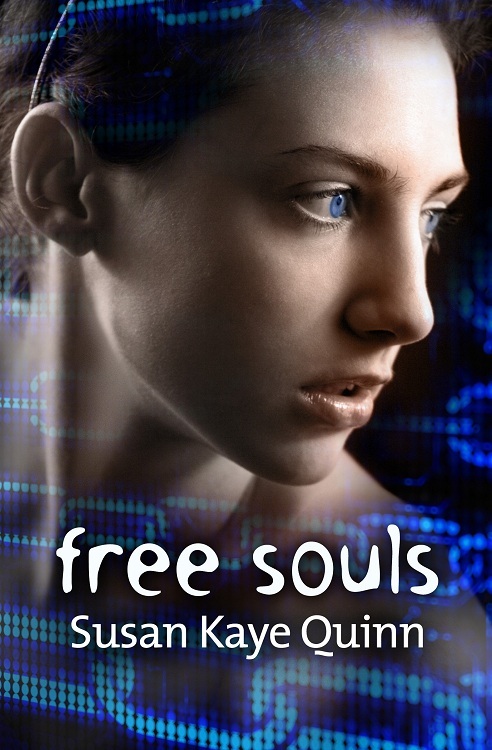 I love every book I publish, but I have to be honest: Free Souls is my favorite of the trilogy. I hope you enjoy reading it as much as I enjoyed writing it. THANK YOU to the many awesome people who are sharing the cover reveal of Free Souls today! You guys rock my world!! I’m over at Amy Saunder’s blog today, answering questions about how I came up with the mages’ abilities, what kind of mage I would be, and all about my future works. And Laura Howard asked me to write a guest post about 5 Tips to Build Buzz for Your Book – my answers might surprise you. Julian stopped by Kai Strands blog today for an interview where he talks about his biggest conflict and closest friends. Want more Julian? Wondering how Sasha’s ability really works? Looking for EXCLUSIVE DELETED SCENES from Free Souls? 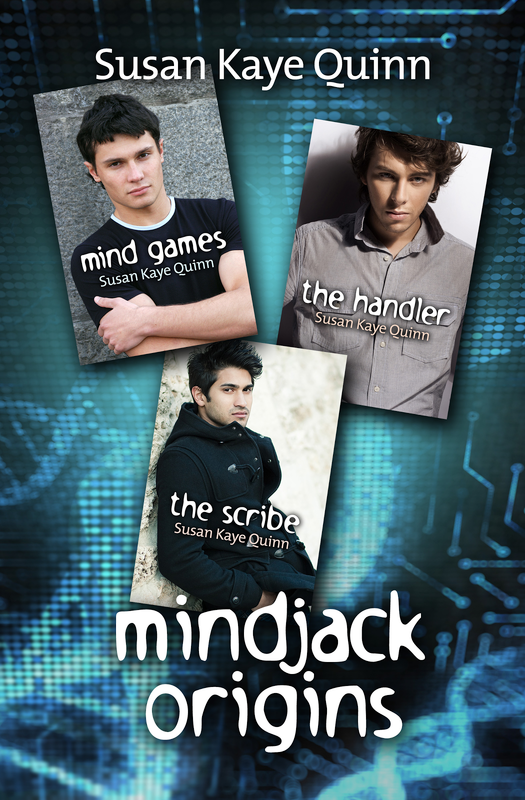 I’ve put together a collection of novellas, scenes, and other goodies for those craving a bit more of the characters and drama of the Mindjack series. FIVE ecopies of the Mindjack Origins Collection. Congrats Susan! Very excited for you. Congrats, Susan. Now I can read the series. I've been holding out until the final book. I'm doing that with a lot of series now. So happy for you Susan! Congrats! Thanks for all your support, Miranda! I love how the novel covers look like a set, and then the short story/novella covers look like a separate set. The genius of my cover designer, Dale Pease, at work! And those trays of shrimp with dip? Potato chips are also acceptable. If there's dip. Thrilled for you, Susan. But I think you already know that. This really is a great series. I'm loving the blue tone! I've read Open Minds and I wanted to wait till Free Souls was out to start Closed Hearts. congrats! Your books look great and I love the covers. Congratulations!!! I'm super excited to read Free Souls, and it was fun to read about your upcoming projects on Amy's blog! I've been wanting to read this series FOREVER! Thanks so much for having this giveaway. I can't express enough how happy I am for you that you've gotten to the end of this trilogy. It's bittersweet. I've enjoyed reading Kira's journey but accept that at some point it has to come to an end. So I've got to hurry and get my copy of this soon!! I feel the same way! But I’m a big believer in ending the story when it needs to end. There’s so much to explore in the Mindjack universe, I’m not entirely sure I won’t come back to play it in again. But for now, other characters beckon with their stories. Awesome looking trilogy package! I'll do something similar when I release my third book. Congratulations! They looks so beautiful! I am up to date on this series and can't wait to read the last one! Love them!!! I am so happy that all the books are finished especially in time for Christmas. Congrats on finishing a wonderful story. I can't wait to finally get final book read. Thanks you for the hard work.Merry Christmas and a very Happy New Year. Congratulations, Susan. The books sound great!